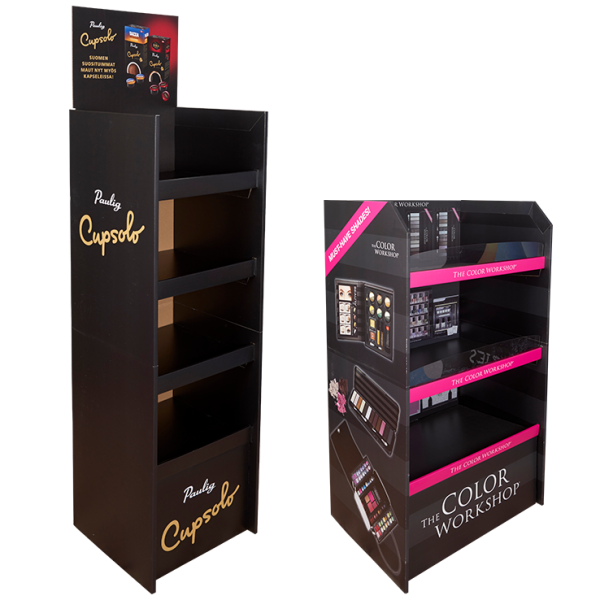 The strongest corrugated cardboard display solution on the market. Each shelf can withstand more than 15 kg. Delivered flat in a single pack and they are really easy to mount (less than a minute). We can customise the display to meet your product requirements. It can support 1-6 shelfs or hooks or a combination of both. You can mount and pack the display at Your warehouse with a transport cap, store it and distribute it to the point of sale when necessary. All displays are printed with our large format digital industrial printer directly on the corrugated cardboard. And besides our modern printing technology saves You from high starting costs, we can offer You a high-quality display solution with a short delivery time too. 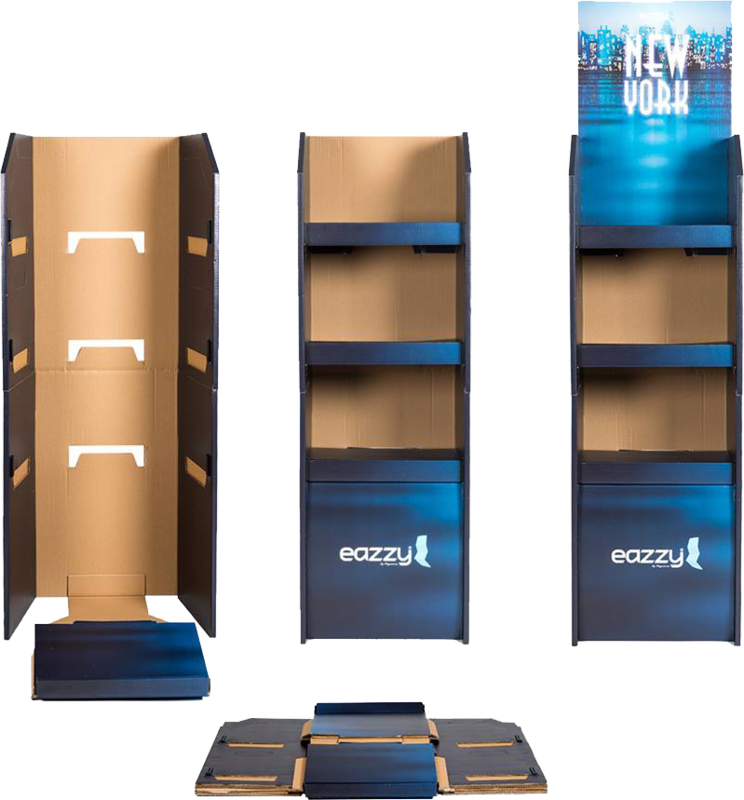 Eazzy Flatpack Displays are lightweight and simple to assemble, yet strong by their structure.